This Masonite moulded panel prehung door offers a simulated wood textured grain in a 6 panel design. 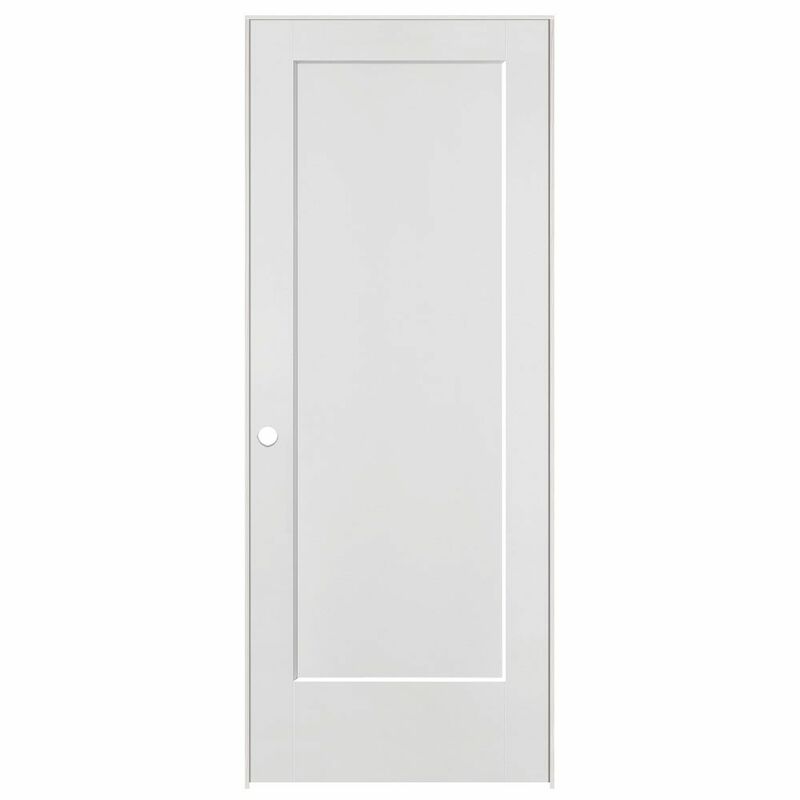 It is ideal in a new construction application or upgrading the look of your existing doorways in your home. This unit comes hinged into the door frame and pre-drilled for a accept a door handle. simplifying the installation process. The 6 Panel design is also available in matching closet bifolds and door slabs. 32 x 80 Lincoln Park Prehung Right Hand Interior Door Enjoy the beauty of wood door authenticity with the benefits of composite door construction. Both innovative and stylish, the molded panel Masonite Heritage Series Lincoln Park Primed 1-Panel Hollow Core Composite Interior Door is an elegantly detailed design. The smooth surface is perfect for painting and decorating to easily complement your decor. Select designs offered in coordinating Bi-fold and factory prehung single or double prehung units.